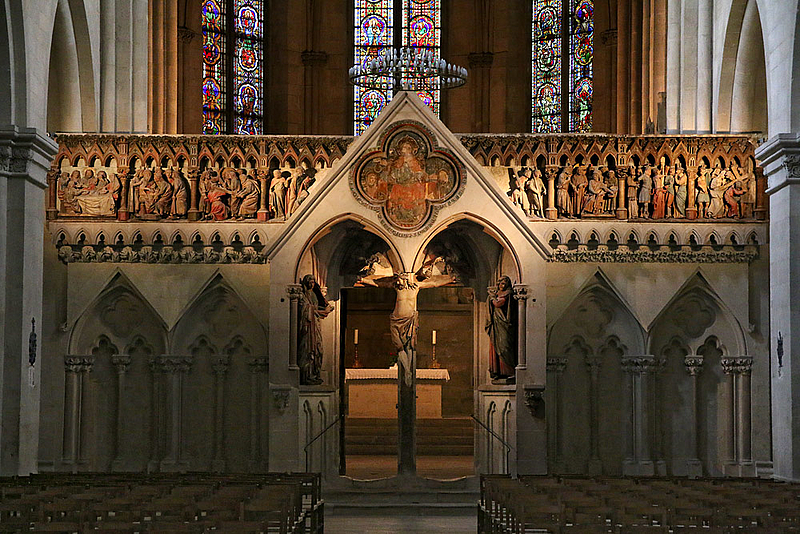 The western rood screen and the stone sculptures of the founders in the west choir, created in the mid-13th century by the so-called "Naumburg Master" and his workshop, are among the highlights of European medieval art. 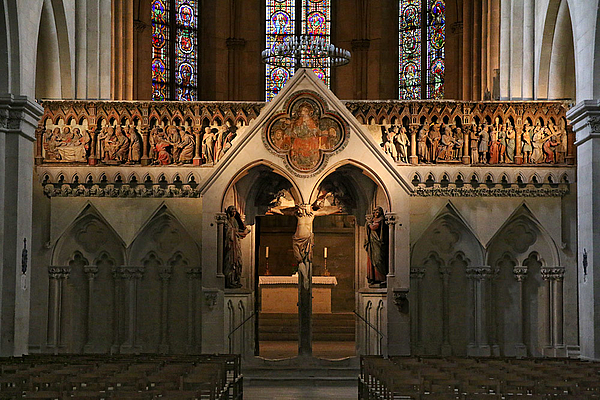 The eight reliefs of the rood screen depict Christ's Passion, which ends with Christ on the cross, mourned by Mary and his disciple John, in the portal. The rood screen is the boundary between the western choir and the nave in which the congregation stood during the religious service.